Most North American homes are kept warm with furnaces, of which there are three main types: natural gas, oil and electric. There are also non-furnace home heating solutions, such as heat pumps and steam heat boilers, which interact with HVAC systems in ways similar to furnaces. 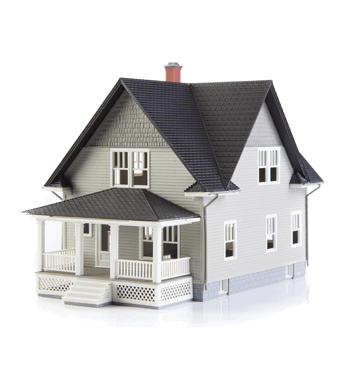 Some homes may also have zone heating systems like baseboard heaters, radiant floor heating or wood burning stoves. How Do Home Furnaces Work? When the temperature in the house drops below the thermostat setting for heat, the thermostat sends two signals: one to the furnace to begin a heating cycle, and another to the blower motor to activate the HVAC fan. The furnace’s heating elements receive the signal and activate. In gas and oil furnaces, those fuels are released through valves to produce open flames. In electric furnaces, electricity powers heating elements that are like large versions of the elements in electric space heaters. The heat is transferred to the air. In electric furnaces, this is simply a matter of the exposure of the heating elements to the open air. In gas and oil furnaces, the flames heat a component called the heat exchanger, a sealed chamber that warms the air around it. The blower motor and fan push the warm air through the ductwork and vents, raising the temperature in the home. The thermostat detects the moment when the indoor temperature reaches the desired level and sends signals to shut off the furnace and blower motor. Keep your home comfortable and energy efficient by tracking the usage of your HVAC system. 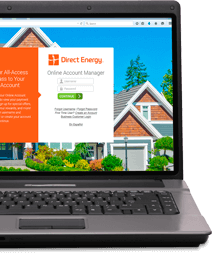 Sign up for an electricity plan with Direct Energy and you'll get the tools you need to track your energy usage and stay energy efficient.